Golf day – Tee off for your local hospice! Join us for our annual golf tournament from 12.30pm on Thursday 16th May. 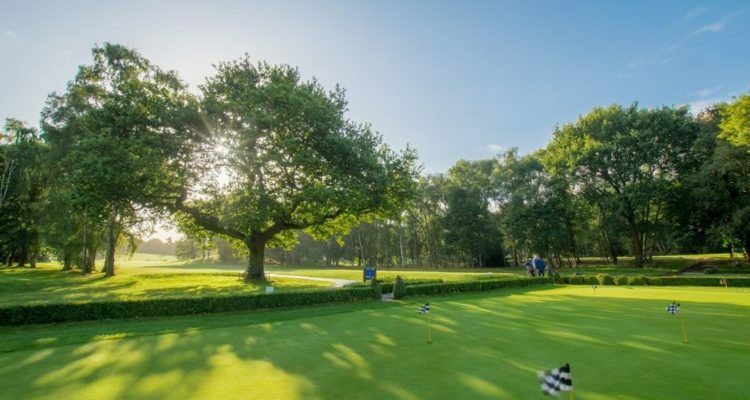 The golf day is taking place at the beautiful Dunham Forest Golf and Country Club in Altrincham. Teams of four – two Stableford scores to count. Teams are £500. On arrival you’ll receive a light lunch, followed by a shotgun start at 2pm. There will be refreshments available throughout the afternoon’s play, at the Halfway House and the Clubhouse, and there will be a number of competitions to take part in. Following play, teams will enjoy a relaxed meal and a competition winners’ presentation, along with a luxury raffle. For more information or to book a place, please email corporate@sah.org.uk or call 0161 498 3631. There are a range of sponsorship opportunities available. To discuss these, or for any further information, please contact the team at corporate@sah.org.uk or 0161 498 3631.